Please note that this game is currently a beta version. I noticed that city and character customization got better after ver. 1.7 release, thus I can’t really say anything specific on these subjects. Also note that the location and character list is the one of the current update, since full game is not available yet. Sorry for my absence, I’m taking a bunch of time to update. This is my second article for the project about the Pokèmon Fangames. 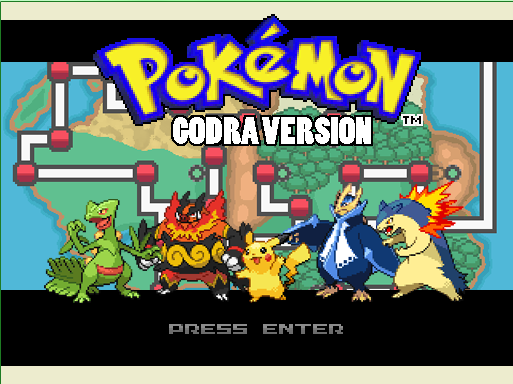 I started playing Pokèmon Godra: a Pokèmon RPG Game developed basing on the GBA Games (Ruby, Sapphire, Emerald, Fire Red, Leaf Green). I want to point out that this game is still a beta, thus it’s nothing official yet. You can check the game developments on the official wiki page as well as on the developer’s blog. The current beta release is 1.7. The Godra Region is divided in two parts: East Godra and West Godra. The player will be able to choose just one and his story will begin in that part. I started two different adventures, being just a beta it didn’t take me too long to reach the dead end. At the beginning of the game, the player will be boom-burst with questions (not only name and gender ones). 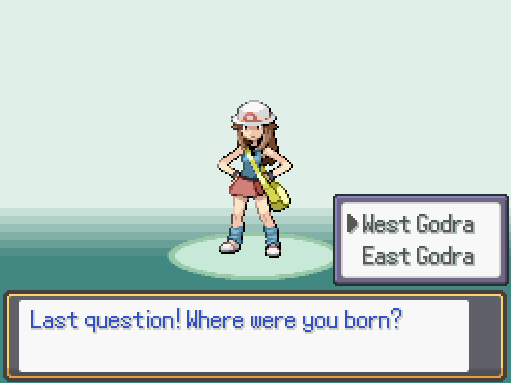 The user who’s giving these questions is prof. Ray Weiss just at the beginning of the game (Birch Forest if the player chose East Godra, Cloudvale Beach if the player chose West Godra). 2 – Chose four of your favorite Pokèmon types, starts will be generated according to the answers you gave. Be careful with your starter’s choice: if you started your adventure in West Godra, it will be quite a while before you get your first Pokèballs. As anticipated before, the region is dived in two parts that have almost nothing in common. After a war, the two parts were reunited but the forced reunion didn’t help the difference among the two (I feel a Cold War reference here). West Godra represents the progress and industrial power. It’s the technologically developed part of Godra. Despite all these advantages rules in West Godra are very strict, keeping a Pokèmon outside the Pokèball is strictly forbidden. This obsession towards the rules is displayed by the heavy presence of both the Military and Police forces almost in every city. On the other hand, East Godra is less populated, the industries level there is equal to zero and there are almost no police forces walking on the streets. It’s not unusual to see trainers walking beside their Pokèmon freely. On the other side of the coin we found the peaceful and greenish East Godra. In here the word “Pollution” is almost unknown to most of the people. Some of the cities are so clean that Pokèmon flocks were captivated by the location and moved inside of that permanently, not minding the people’s presence at all. The aforementioned aside, the major places of interest are different in the two sides. The very first big city the player comes across with is Omoth, this place is full of opportunities for a young trainer. -Albright Industries: The way you’ll acknowledge this name won’t be the best, but after everything’s been clarified you will be given the opportunity to work here as well. Heading West from the city center, you will find yourself in Lake Omoth, in here you will meet Cliff, the guy who can make Pokèballs out of Apricorns (Apricorn trees are common around West Godra). In here you will also find a house for sale (it’s pretty common in West Godra), it’s something like Secret Bases in Hoenn: you can buy and decorate your house as you want. Around Omoth you will find a lot of activities to do and this will take plenty of your time. After you’re done, you can take Route 5 up to Nettle Town. Nettle is so small it doesn’t even have a gym inside. The lack of industries is made up by memories: this town is full of flowers, seems that after the war everyone plated a pretty plant to give honor to their dearly beloved who fell during the war(while their corpses lay in Violet City). 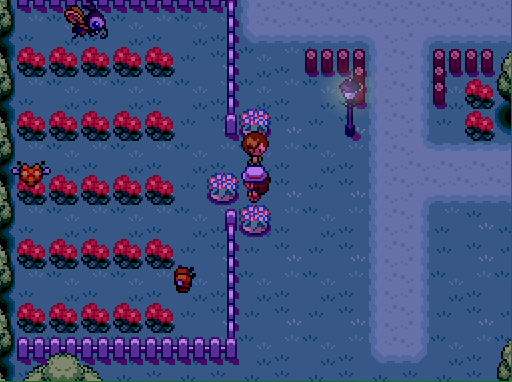 In Nettle Town you will find the Pokèmon Orphanage, in here you can go around the sanctuary, in the back of the house, to look for Pokèmon eggs. When you find them you can either take them with you and make them hatch or hand it over the owner for money. -Abyss Dept. 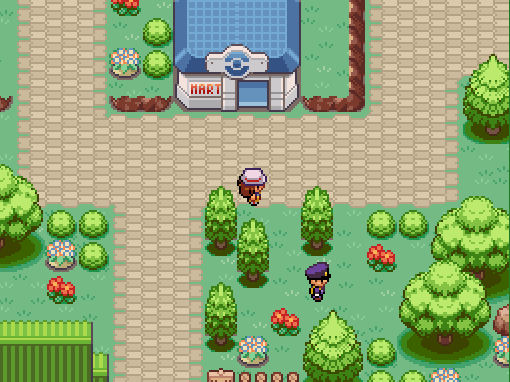 Store: a big shopping center like the one located in Goldenrod City. The last noticeable city in West Godra is Violet City(For a second I thought I was going to Johto), which happens to be the capital as well. In here you will find either the Trainer Tower, it is the place where corpses of the fallen men are grounded. There’s also a Gym whose Gym Leader trains Electric type Pokèmon. Please note that in both Omoth and Abyss there is a scientist that revives Pokèmon fossils. Unlike the previous, East Godra is a much quieter zone in which the military force is almost not present at all. It’s also smaller and less populated. -Lecture Rooms: Once you are done with your application, the woman will give you precise instructions on which lectures you are supposed to attend and in which rooms they are held. Inside the city there is also a place that once was a pokèmon Day Care that now is closed because it has been moved to Route 16. Holly City also has a gym. Jared, the Gym Leader, will challenge you using Grass type Pokèmon. At the west side of Holly City there’s Holly Forest this will be the location for your practical battle lecture with Prof. Weiss. Heading north, there’s a path behind the trees in which there’s a haunted house. On Route 16 apart from the Pokèmon Day Care there’s also an inn, it seems that this place is haunted by ghosts. -National Park: Just like in Johto, there is the chance to take part to a bug-catching contest here. 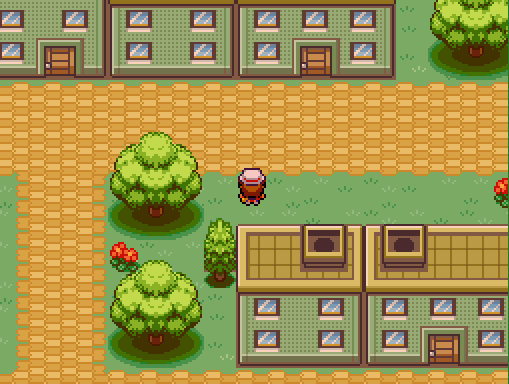 Going through Route 20 you will reach Osier Town. In here you will find Andy’s house (Pokèmon storage system’s creator), he will give you an Eevee. In this city the Safari zone is located. There is a small mission for you to bring to the end. You will also be able to work here. The Gym here deals with rock types, the leader is named Kelsey. She will give you a helix fossil as a prize for winning. Aside from the original characters, some canon characters appear as well, they will give you some mini-missions that are also essential to the main plot. I just saw them in West Godra. 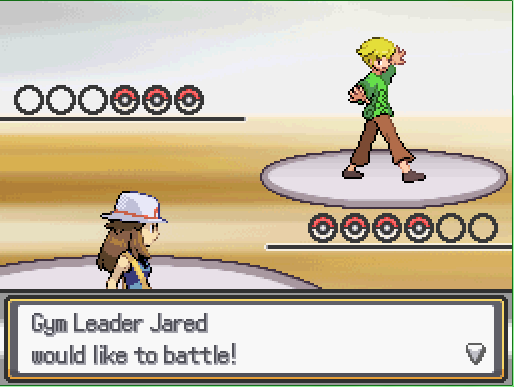 Gym Leader Jared: let's fight the grass types! -Ashley: she is your rival (if you started your adventure in West Godra). What I didn’t really like in here is the poor background most of the gym leaders have, badges aside, they have nothing more special than ordinary trainers. I would have liked to establish some kind of bond with them, I would have loved to see them as an active part of the story. Most of the music here is either taken from the original series (I heard lot of stuff from Hoenn) or they are MIDI files, I don’t know whether if they’re taken by other games, simply rearranged or made out completely new, but sometimes, at least for me, the music becomes boring. 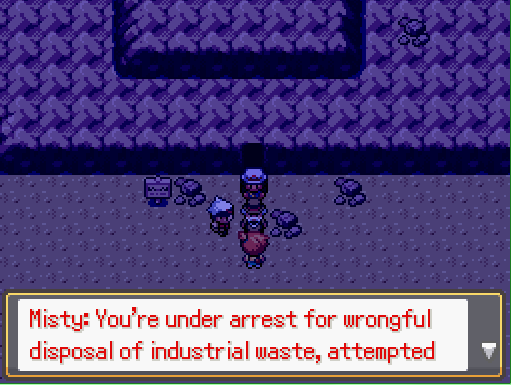 Despite this, I loved the china lake music dominating the atmosphere in Lake Omoth. It suits the place just right. I also found a nice Johto Ice Path music slightly remixed inside a tunnel, and I have to admit…I like it, a whole lot! It’s enjoyable, it reminds me some music from Crash Bandicoot 2 or 3. Most of the storyline development heavily depends on the player’s choices, and that’s a nice customization, indeed. Choosing different career paths sure is interesting and brings a classic Pokèmon game to another level. However, even if it is still a beta version, this game has some issues to fix. According to me, the gym leaders should have a little more background and maybe interact with the player more. While playing in the East Godra adventure, I didn’t get the Pokègear after four badges. It’s a little uneasy because I still don’t have the map. Even in West Godra, the Pokègear can be purchased like some others key items and there’s no way to get them for free at some point of the adventure According to me, this could work for a single item, or maybe two, but for all of them is a little too much to me. However the item availability along the game is good and there are plenty of trainers around, thus, the player isn’t supposed to have any issues concerning the lack of money. Some old acquaintances of ours. connections between main cities are good, you won’t have to stress yourself to find the way out a forest or a path. For what concerns the HM moves and the ones that can be used outside battle as well for now only Rock Smash (both locations) and Cut (West Godra, after defeating the Omoth Gym Leader) are available at the moment. In the latest version some 6th generation Pokèmon were added. I didn’t see an available Pokèmon List in the official wiki, I guess it is still under making. The game is still new and updating, thus I can’t give a complete judge yet. For what I observed so far this game has a great potential, if the creator develops characters and location customizations a little it will become a very good game. I really appreciated the multi-plot pattern you can give to the adventure, I hope it will be updated soon so I can see where the career leads to. Share book reviews and ratings with Piloswineseyes, and even join a book club on Goodreads. Hello, I'm a girl, I think. I love eating Oreos. Bye. This blog does not represent a newspaper or a product. The author is not responsible for the comments or the sites that are linked to the articles for informative purposes. Any rude comment, even made by anonymous users is not under the responsibility of the author. The author will automatically remove any comment that may result offensive to third people. The inserted images are completely non profit. Whenever a photo that is not wanted is noticed, contact the author that will remove them. Piloswine's Eyes. Simple theme. Powered by Blogger.